JR doesn&apos;t stop. He&apos;s now done his first solo exhibition at the Watari Museum of Contemporary Art in Tokyo, Japan, as part of his "Inside Out Project." 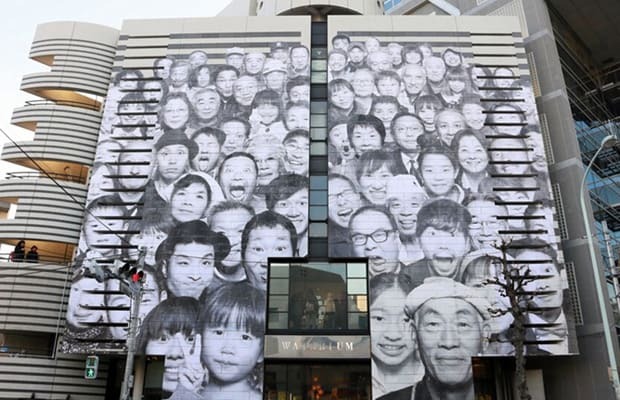 He continues to tell the stories of people around the world using black and white large-scale murals, and this first piece in Tokyo is arguably one of his best. It shows people from northeast Japan, where the tsunami hit in March 2011. Visit the exhibition now through June 2, 2013.